Easy to don, meaning that assistance with compression treatment is not required in many instances. Comfortable and discreet, even with shoes. 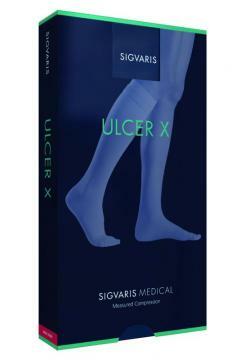 The wound dressing is also secure during the night thanks to the patented under stocking. No damage to the wound when used correctly. Kit comprises 2 x under-stocking (15-20 mmHg)1 x traditional (CCL 2). Additional under stockings are available separately.